Long gone are the days of boring black camera straps. Hello… girls are photographers too, and we like to shoot in style! 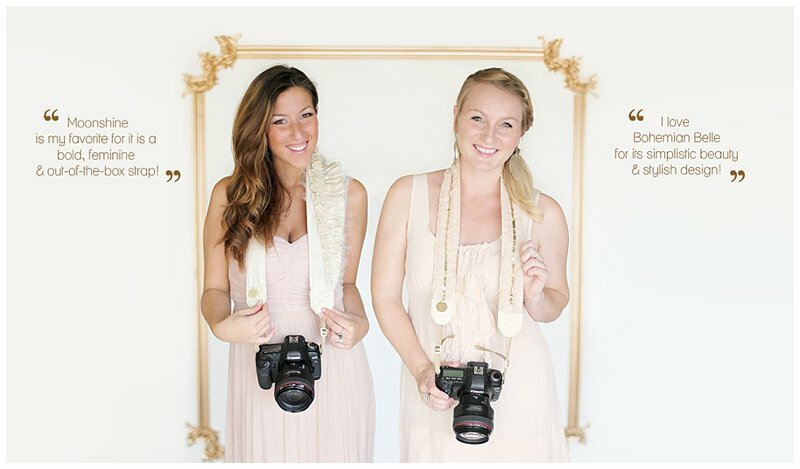 But really, we are HUGE fans of Bloom Theory camera straps, and we are over the moon to have them sponsors at Glow!! Thank you so much Vania and Christine! We are thankful and honored you are on board with this exciting day! What is your advice for starting your own business? No idea is too big or small as long as you have the passion to peruse it Another one would be stick to what you know—if you are not a graphic designer do not try to build your brand’s appearance- we believe in hiring experts! What inspires your work the most? Probably our European nationalities and each other. We brainstorm really thoroughly together! 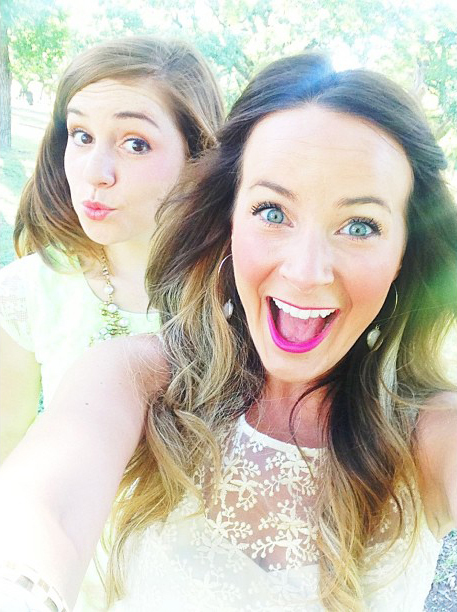 Three items you can’t live without : Our babies, Instagram (not truly an item but still! ), and our cameras of course! Meet beautiful Michelle. So that we don’t have to worry about documenting the day, Michelle will be photographing the workshop for us so we can concentrate solely on teaching, connecting with you lovely ladies who are attending the workshop, and all around soaking up the day as it unfolds. We couldn’t be more thankful Michelle is joining us on Monday. Michelle may just throw in some advice or two! Q + A time of the workshop anyone?? Get ready. Get excited. IT’S ALMOST HERE!!! What is your advice for starting your own business? Give yourself grace, and do everything in love. Figure out what fires you up and go from there. Serve your clients and treat them with more than the utmost respect- seek to strive for, to give, and to achieve excellence for your clients in everything you do. Oh and systematize, systematize, SYSTEMATIZE!!! What inspires your work the most? Dreamy light, special moments, and couples madly in love. I’m falling more in love with film photography every day! Personally, to live my life with excellence according to the wonderful grace of God, knowing Him more and more each day. My biggest business goal is to fully switch to film (weddings and all) by 2015! Your favorite song to bust a move to? You guys. Glow is ONE WEEK AWAY!!! Can’t even WAIT! We are getting so excited to hug all of your necks and talk shop from 9am-6pm. Talk about a fun time. Pumped!! Our exciting day one week away wouldn’t be possible without this lady for sure. She is providing some serious talent for you all to enjoy (but we can’t go into detail as we want you to be surprised!) at The Prairie. 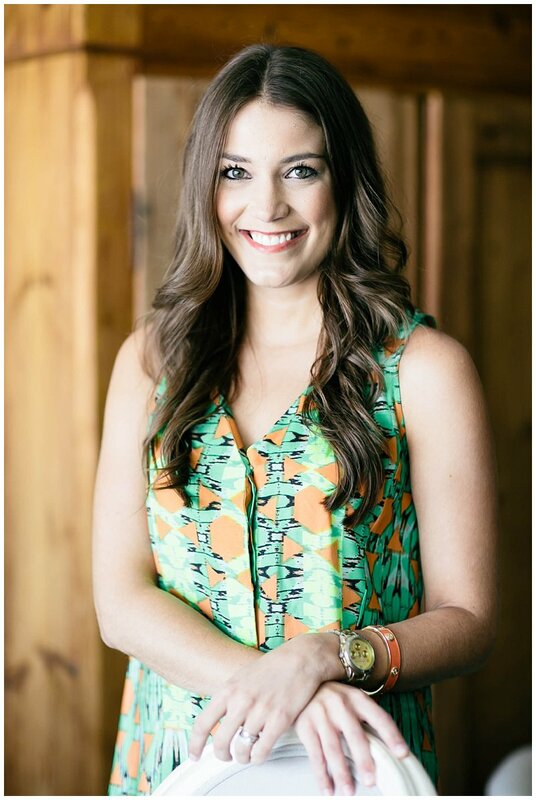 Meet the extra fabulous Lauren Essl! 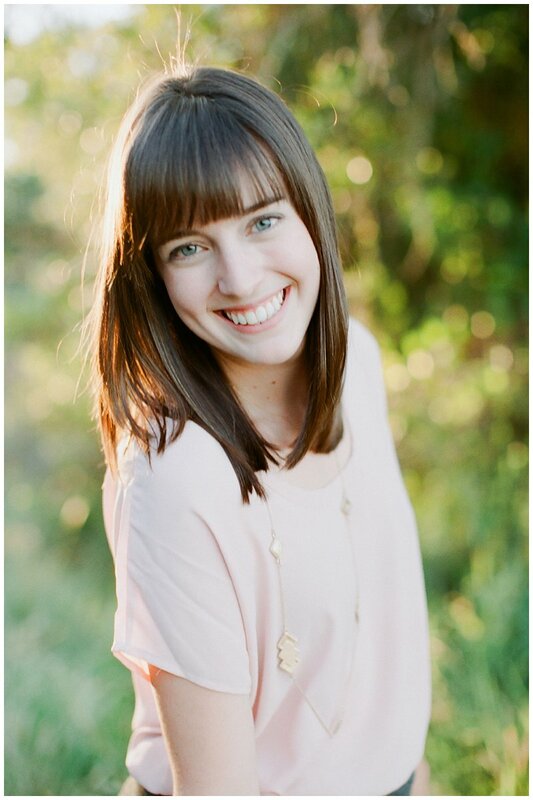 Get ready to see all of your names individually written in beautiful calligraphy type by this lovely lady below. Enjoy getting to know more about her, we think you’ll love her as much as we do! Happy Monday and let the Glow countdown begin!! What is your advice for starting your own business? Just start! Diving in and giving it your whole heart can never fail you. I think the first thing to do is say you’re in business. Announce it. Let it be known. Once you’ve made that leap, the rest will follow with hard work, passion, and dedication. What inspires your work the most? Color, creativity, happy vibes, pattern, beautiful type. What’s the biggest goal you have for yourself (personal and business) Work/life balance. I think this applies to both my personal and business life. I find myself often in this dark hole of work where three months go by and I’ve neglected those that mean the most to me. I’ve started making plans with girlfriends and family a month out, and no matter how busy I am or the deadlines looming, I try my very best to keep those plans. I’ve found it’s so good for my soul and sanity! What is your advice for starting your own business? For business owners at any stage, stick to your CORE. It will guide you and help you make efficient decisions quickly. The goal in growth is not to get “bigger,” it’s to get better. You cannot please everyone. And, if you are doing things right and being very specific to your core, you won’t please everyone. That’s a very good thing. Your goal should be to capture a specific loyal audience, not the masses. We’ve had exponential success by following this model in business. When things get crazy around a launch or magazine release, we are all on the same page because we know exactly what our mission is. What inspires your work the most? At Southern Weddings, we’re inspired daily by the culture of this place we call home. There is a certain something about the South that makes me slow down and focus on what matters most — celebrating family and love. That certain something is different for everyone, and that’s what makes the South so sweet to me. What’s the biggest goal you have for yourself (personal and business)? One of my personal goals this year was to know God more by learning about Him in the Bible and through prayer. I hope to finish reading the Bible by December 2013. In business, I’m writing a book! 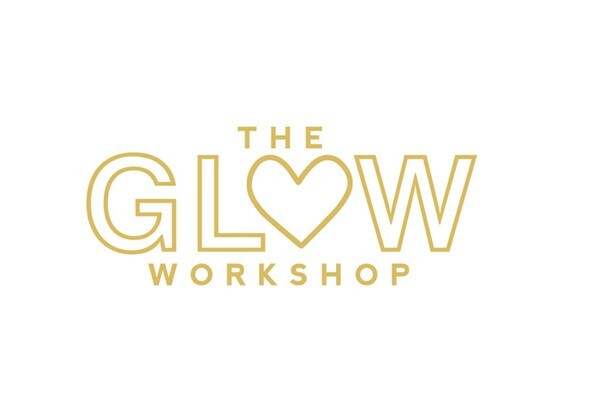 We are over the moon excited, overjoyed, and THRILLED to be announcing The Glow Workshop! We have been planning this little love fern of ours since January and TODAY is the day we can both shout it from the rooftops! AHHHH! We are SO pumped!!!! Can you tell!? Do you love photography? Don’t know where to start? Or…how to start? Do you have a million-bazillion questions? Are you scared? Are you holding back? Are you having a hard time getting your photography business off of the ground? Are you currently doing photography on the side and DREAM of doing it full-time? Do you crave a community of like-minded creative and talented women? Are you wanting to learn more!? Is your passion ignited and are you ready to leap? Do you love pretty things, and building long, lasting, and loving relationships? We are here to talk to you, encourage you, and tell you about our experiences. Trust us! We have a lot to share! Are you ready to have FUN? Are you ready to be INSPIRED? AND gain a lot of knowledge that we wish we knew when we were starting or growing our photography business? THEN WHAT ARE YOU WAITING FOR!? We hope that by the end of your time with us at THE GLOW WORKSHOP that you will leave with a full & happy heart, a clear, meaningful mindset and a business that will be ready to GLOW.